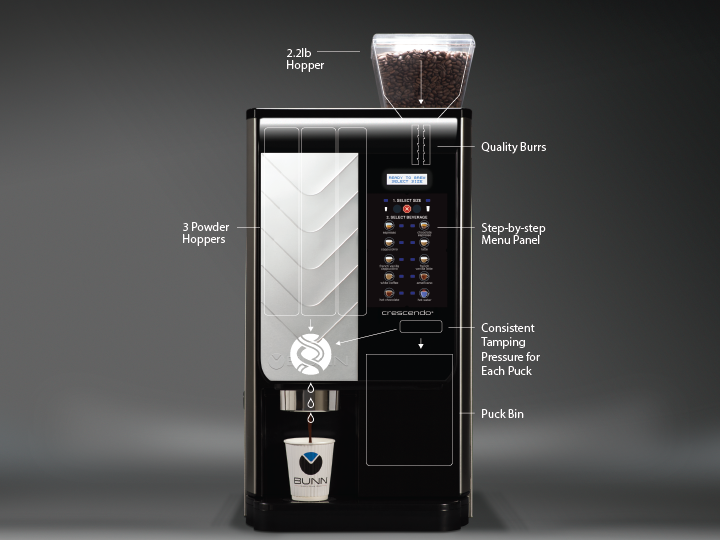 Sleek design saves valuable counter space and will be at home in front-of-house equipment lineup. 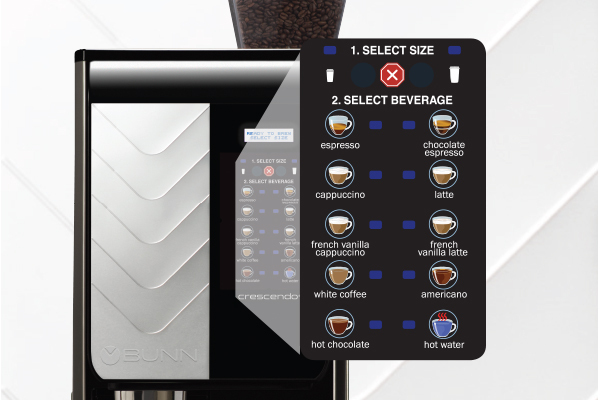 The touchpad provides easy step-by-step direction, with two programmable portion sizes from 8 to 12oz (230 to 350ml) and 9 cafe style beverage choices, plus hot water. 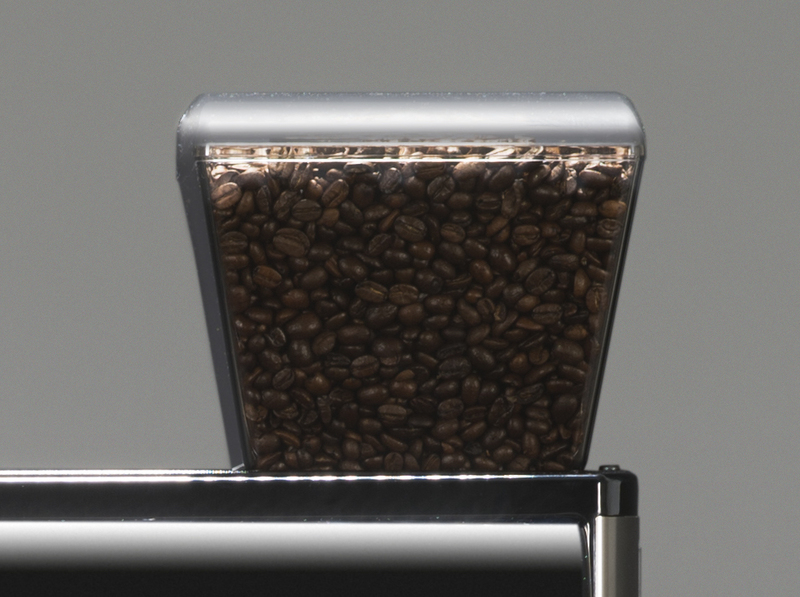 Consumers can clearly see fresh whole beans in the large 2.2lb (1kg) hopper as the brewing process begins. 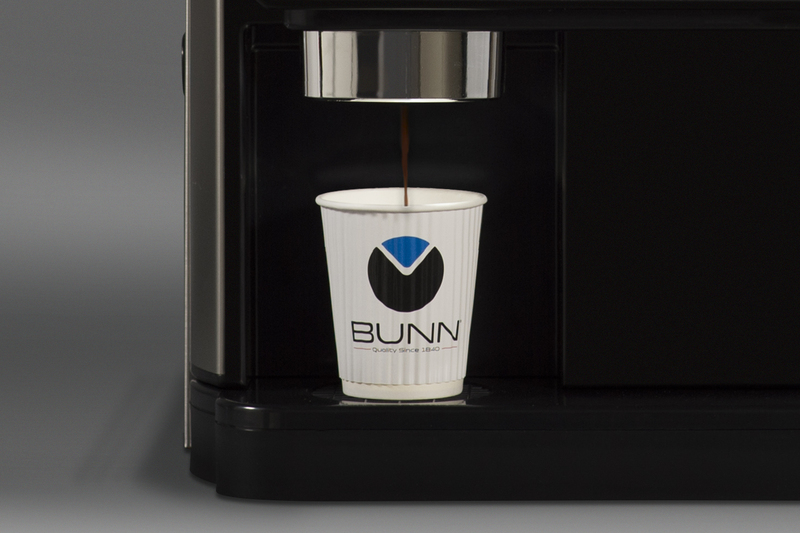 Coffee is consistently tamped into a puck with precise dosage, and the brewing begins; nine bar brew pressure used with a variable brew group creates rich, strong espresso. 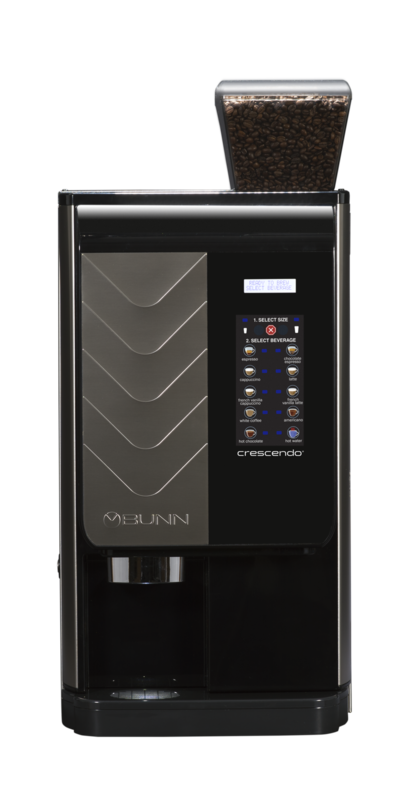 Ideal serving temperature of espresso and café beverages are achieved with our independently controlled two tank system. Three powder hoppers work together to deliver a wide range of flavors: two 3.3lb (1.5kg) hoppers for the larger demand flavors and a third 2.2lb (1kg) hopper for French Vanilla. Ready to learn more about Crescendo?